Have you worked out how to wear a crop top yet? 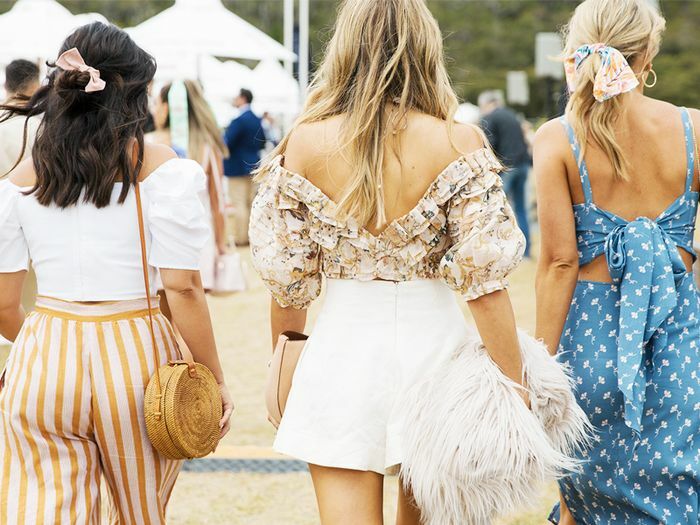 The shrunken style has been going strong for many a summer (and, actually, winter) season, but there are still girls out there who understandably feel anxious over the rumoured pitfalls a little stomach-flashing could incur. But fear not—just because the top is short, doesn't mean abs of steel are an essential prerequisite for styling out this now-staple wardrobe addition. Like leggings, the crop top is never far from being on the good or bad side of the fashion police, but it's all about being modern and updating as the years go by. With a little know-how and understanding, this one piece can be incredibly versatile. Layer yours under a smart suit, or go casual with a pair of jeans and a long coat over the top. To prove our point, we've tracked down the best street style and A-list looks to give you inspo. Keep scrolling to find out how to wear a crop top, and shop the outfits too. Style Notes: Ashley Graham does the classic crop top, skinny leather trousers, and bomber jacket combo. Always a fail-safe option. This would also work with a pair of high-waisted trousers. You'll thank us for investing in a pair of these leather skinnies. This grey hue is a great way to soften up an all-black outfit. Style Notes: A great way to make sure you feel covered up when wearing a crop top is to wear a long, lightweight coat over the top—just like Kendall Jenner. Wear these with everything in your wardrobe. We're in desperate need of a robe in our lives right now. Style Notes: Take it from the queen of crop tops that the new athleisure-led way to do this look is a cropped jacket and a pair of matching high-waisted joggers. 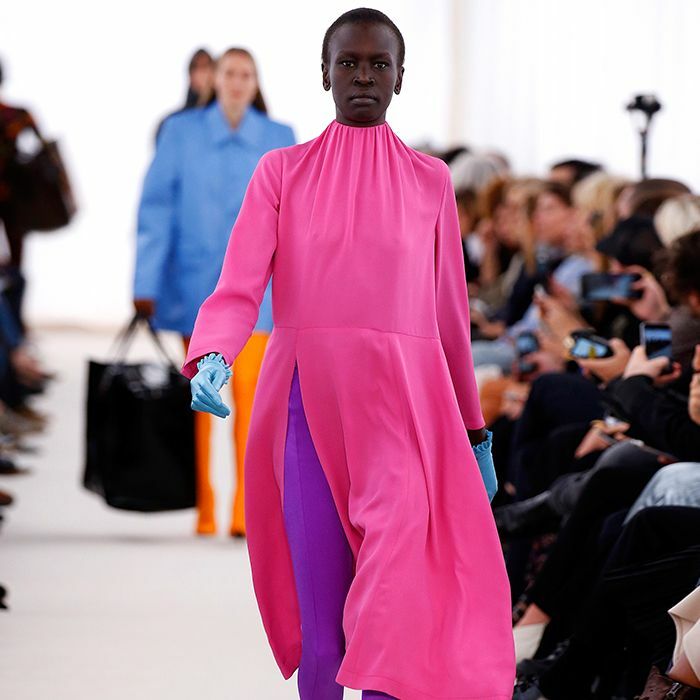 No, the fashion world isn't tired of pink yet. Pair with your favourite trainers, or take a leaf out of Bella's book, and wear them with sandals. Style Notes: Fitness guru Hannah Bronfman definitely has abs to show off, but here she's being fairly coy about it with a cropped jumper and a pair of high-waisted jeans. If you're not totally confident about your middle section, make sure your top is just above the waistband of your jeans. However, this is a flattering look that gives your waist definition. At £8, you can't afford not to buy into this trend. Mom jeans are always a good idea. Anna Wintour is a fan of the snakeskin boot. Style Notes: Alexa doesn't usually show off this much skin, but we love this retro, Jane Birkin–esque look. Definitely one for the holiday packing list. Oh, yes, we'll be buying this for our summer holidays. Chic jeans for the warmer months. Style Notes: The best way to do a more formal look when wearing a crop top is to coordinate it with your bottom half. The top to buy if you're not totally comfortable with your stomach. It will flash just the right amount of flesh. These have wedding guest written all over them. Style Notes: If you're on a night out but don't want to revert to the standard jean-and-top combo, then try a statement skirt worn with a plain black crop top. Gingham is high on our shopping list priorities right now. This top from Are You Am I comes celeb-approved. This pattern is what we'll be wearing the whole of spring. Style Notes: Thanks to the sassleisure revolution, there are plenty of smart go-to looks that show you're both ready for working out and brunch. This crop top version, as seen on Gigi Hadid, is perfect for any weekend activity. Workout gear that is almost too cool to exercise in. Pair the top with these trousers for the full effect. Top it all off with these sliders. Style Notes: You might think that a "smart" crop top is an oxymoron, but that's not so when you pair a lace version with a white suit. Leave the jacket casually unbuttoned for a more risqué look. A pretty top that will look just as good under a jacket as it will when it's layered over a white shirt. You're halfway to Bianca Jagger territory with this jacket (and that's a very good thing). These trousers should only be worn with a crop top. Next up! The autumn/winter 2017 fashion: The 11 trends you need to know about.